During the summer months at their family home in the east end of Toronto, Alison Oleksiak will, on occasion, ask her son for a helping hand with various gardening tasks. Typically, such requests are greeted with a less-than-enthusiastic response from her hockey-playing son. 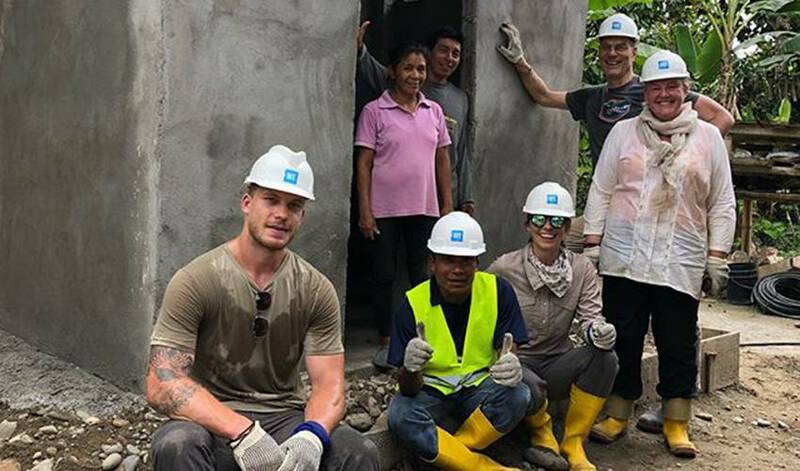 The Pittsburgh Penguins defenceman couldn’t resort to such tactics in Ecuador as part of a charitable mission headed by ME to WE, a social initiative that brings humanitarian work to parts of the world in need of assistance. It was his sister, Canadian swimming superstar Penny Oleksiak, along with his parents, who first planted the idea of Jamie getting involved with ME to WE. He got his answer almost from the moment he arrived in Ecuador. The 25-year-old soon realized it was going to be far more demanding than cutting grass or pulling weeds with his mother. Throughout his time in the South American country, the 6’7”, 255-pound blueliner shoveled rocks, dug holes and pushed wheelbarrows countless times as part of a team that was tasked with building bathrooms. He managed to hold his own. Eye-opening is a term Jamie often uses when describing the experience. Come next summer, will he have a different reaction when he’s asked to put on gardening gloves and give his mom a helping hand?